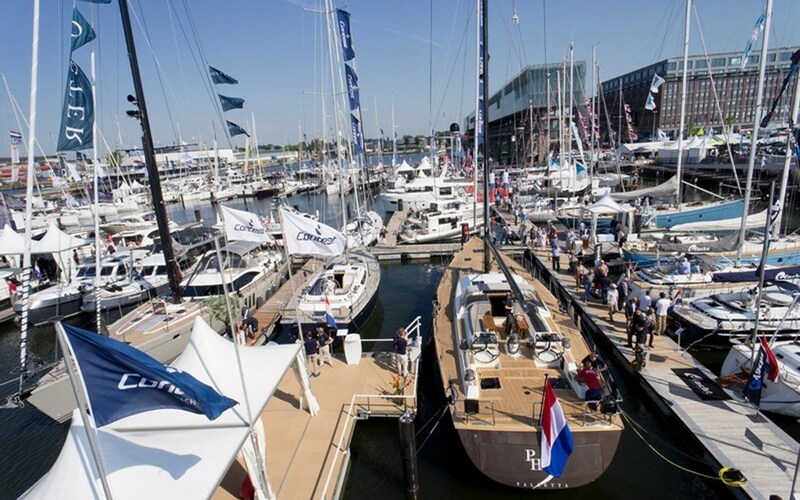 Amsterdam Nautic Yachtbrokerage is located in Yachtharbor Amsterdam Marina. The completely new Yachtharbor with more than 350 berths is ideally located directly at ”t IJ’, (Northsea Canal), in Amsterdam North directly across the Centre of Amsterdam and its Canals. 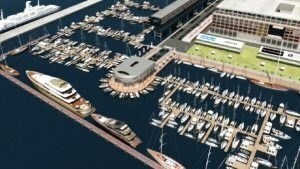 Amsterdam Marina is perfectly accessible via the Waterway, highway A10 and is just 20 min. driving from Schiphol airport. From the Harbor you can ideally sail to the famous Amsterdam Canals, the Zaanse Schans, Volendam and Haarlem. The North Sea Canal is a waterway which connect Amsterdam with the North Sea and the big Lake IJsselmeer. The Yachtharbor facilitates divers accommodations. Besides our Yachtbrokerage you can hire or rent a open boat to the Canals of Amsterdam on our website verhuursloep.nl and a very nice restaurant ‘Loetje aan het ij’ where you can port your boat to have Lunch or diner. At ‘Loetje aan ‘t ij‘ you can lunch and have diner, inside or outside on the terrace with a beautiful view of the river. 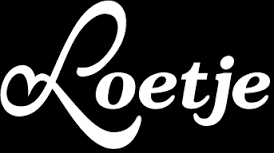 ‘Loetje’ is famous because of her delicious ‘ossehaas’ and ‘chips’.You can also berth your boat at ‘Loetje’ and order your lunch and eat it on board. Because of the ideal location in Amsterdam North it is very crowded with business people, so reservation is advised. You can park your car in the area at the water, it’s only € 1.30 or £ 1,11 an hour. At Verhuursloep you can rent an open boat ‘Sloep’. There are diverse sloeps available; 6 persons – up to 45 persons including skipper. From Amsterdam North you can easily sail to the famous canals of Amsterdam, the ‘Zaanse Schans’, the ‘Uitgeestermeer’, the ‘IJsselmeer’ or Haarlem. Verhuursloep accomodates business trips to the Canals of Amsterdam, a complete lunch and 1,5 hours of sailing. After the trip you can go back to work or you can have a drink at ‘Loetje’.